I've had that thought hundreds of times over these past sixteen years of missions: I am not cut out for this. I am probably the least adventurous person on earth. I need a plan. I need a schedule. I need things to go according to plan and to schedule. I hate transitions. I hate change. I think I would be happy if everything in my life could stay exactly the same, always and forever. Yet here I am in a life that is full of adventure, whether it's as simple as a chicken on the loose in my house or as scary as a snake in my daughter's bed. I'm living in a culture that does not value plans or schedules (but thinks people are a lot more important...I guess there's a point there). And even when I try to live by a plan anyway, then I lose electricity or the store is out of sugar or the rain has closed the roads. And now here I am, facing another international move, yet again. We leave America on Wednesday to return to Tanzania. The anxiety keeps me up at night and wakes me early in the morning. I despise saying goodbye to the people we love; it rips my heart out every time. But I know that even once I get back and get settled, that I will continue to thrust myself into these transitions over and over again. I have put down roots in Tanzania, but I am a guest. It will never be permanent. I think to myself, Why on earth did I choose this life? I am not cut out for this. You could call it a calling, but that makes it sound so noble and sacrificial and godly and stuff. When in reality, I want to do this. I want this life. It's complicated, isn't it? Because if I say I want it, then that makes it seem like there are no sacrifices and I never get sad or have regrets. But if I say that I am just being obedient to a calling, then that makes me seem like a martyr. Choosing this life is both of those explanations. Yes, I hate spontaneity and change and transition--but I've lived long enough to see the joy that makes it worth it. Yes, I'm not too thrilled about living a life in two worlds and all the packing and the sense of rootlessness. But there's that joy again. The joy of learning from other cultures. The joy in living a life of purpose. The joy of living a life with less. The joy that comes from anxiety that is cast upon Him. And really, we're not cut out for a lot of things, are we? We get into marriage, or motherhood, or the menial job, or the stressful job, and we think, I'm not cut out for this. But we keep doing it anyway, because there's always joy. Joy in doing hard things. Joy in getting through a day we never thought we would live through. Joy in knowing that no matter how bad it gets, this life is not all there is. Being an American parent is exhausting. Your kids are supposed to participate in sports (more than one) and music and math and competitive spelling. They need to have experienced horseback riding and seen the National Parks and gone to a Broadway show and know how to build a robot. Oh, and of course, they need to know Latin and be classically trained. And if they haven't accomplished all these things, you are letting them down. You have failed as a parent. I feel this even in Tanzania. I have tried for three years to find Grace a piano teacher with no success. I don't want to drive her an hour each direction every week, and I haven't been able to find someone close by. She keeps reminding me that she wants to learn piano, but she's finished fifth grade and it still hasn't happened. Which makes me feel like I am depriving her of something really important. Because everyone knows that every child is supposed to learn an instrument, right? There are other things my kids miss out on because we live in Tanzania--gymnastics, Children's Museums, craft stores, beautiful parks with towering oak trees, watching seasons change. Lily reminded me recently that she would love to take ballet lessons. Not going to happen. I am a collector of lists of children's books, as my favorite activity with my kids is reading out loud to them. But every time I get a new list, I panic slightly because there are just so many good books out there that my kids need to read. And I can never catch up. For a moment I think, But their lives will be tragic and deprived if they haven't read every single one of the Little House books! How will they survive? And you wonder why Gil thinks I'm dramatic. There's this intense pressure in American culture that your kids must be good at everything. And if they can't be good at everything, then in the very least, you must expose them to everything and teach them everything else. And if they don't, they are really missing out and will probably become hobos when they grow up. But I've had to remind myself that I need to step back from the frenzy and ask, Who says? Who says that my kids will never learn discipline if they don't learn to play an instrument? Who says they won't learn teamwork if they don't play sports? Who says that they won't be good thinkers if they never learn Latin? Who says they won't learn to love their siblings if they are not homeschooled? Of course, those are all good things. But somehow we've convinced ourselves that we aren't succeeding in the rules of parenting if they don't get all of the good things. Can't there be more than one way to successfully raise and educate a child? So when I start feeling the pressure and the panic that my kids are missing out, I try to remember what they do have, what they have learned. My kids know how to navigate multiple cultures and countries and international travel doesn't phase them. They are great swimmers who love snorkeling. HOPAC shines when it comes to performing arts, community service, and ethnic diversity. In our home they've learned to be hospitable to our many guests, and my girls have learned to love cooking as much as I do. So even if Grace never gets piano lessons (though I am still looking! ), no one can ever accuse her of being deprived. If my list of what my kids are learning causes your stomach to tense with stress, then make your own list. Maybe you're passing on your gift of creativity, or gardening, or adventuring. Maybe you're using YouTube for art lessons. And honestly, the vast majority of middle-class American kids will never be deprived in the true sense of the word. Even if your kids never learn music or sports, even if they never master another language or horseback riding, they still will be some of the most privileged kids in the world. And, of course, the qualities of courage, kindness, patience, and humility are by far what will make a child successful in this life--and those can be learned in a million different ways. The elderly man with kind eyes approached me after a speaking engagement at one of our supporting churches. He explained that he had been convicted to diligently pray for his grandchildren. And then he asked me if I would like him to pray regularly for my children, too. I was speechless that a stranger would do this. That he would take the time to approach me, encourage me, and commit to praying for my children. There's the woman in Indiana who only knows me through this blog and sends us money through PayPal to spoil our kids. There's the large family who lives in a small house but supports our ministry generously, and I think about how they could live in a bigger house if they weren't supporting us. There's the friend who gave us tickets to the Long Beach Aquarium, with specific instructions that we were to go only with our kids, so that we would have time together "just us." I could go on. Those are just a few examples. I am one who is lavished with grace. And I feel so utterly unworthy of it. This home assignment has been hard for me. To be honest, it's been harder than any of the other times we've visited home. I'm not exactly sure why, because everything has gone relatively smoothly, and as you have seen in my pictures, we've created lots of wonderful memories. Maybe it's because I've put down too many roots in Tanzania and it gets harder for me to adjust to America as time goes on. Or maybe because living out of a suitcase for four months with four kids is a lot harder than when we just had two kids. But whatever the reason, it brought out ugliness in me that I am ashamed of. I've been grumpy and irritable a lot of the time. I've let anxiety get the best of me way too often. I've had way too many sleepless nights for no fault other than my own untamed emotions. 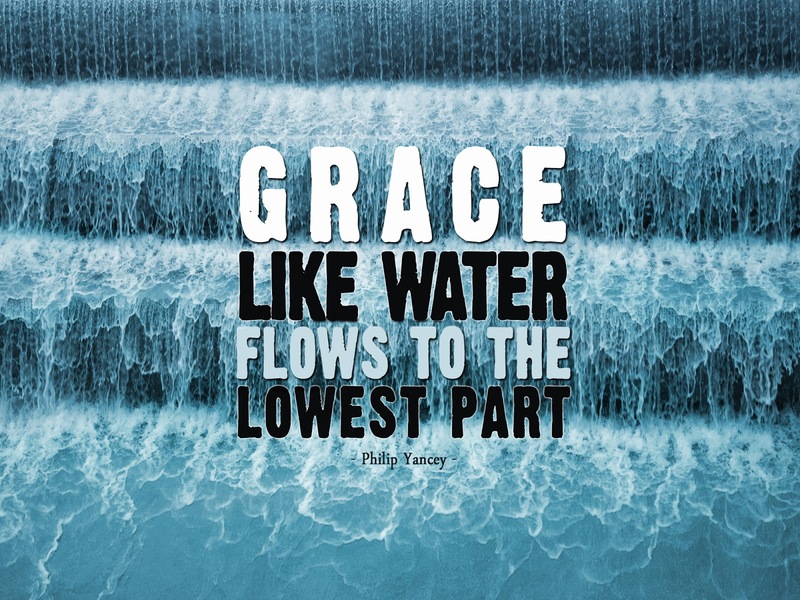 It stinks to have to look at people you love, and the God you serve, and ask for grace. Yet that's what I have received, over and over again. By family members. By church friends. By strangers. I would have been really good at any kind of legalistic religion. Following the rules, working hard, doing my duty--all of those things come naturally to me. Perhaps that's why serving and giving often come easy for me. But receiving that which I don't I deserve? That's a whole lot harder. It's humbling. It makes me feel small and unworthy. So I guess that's why receiving undeserved grace reveals my pride. I actually am small and unworthy, no matter my accomplishments. 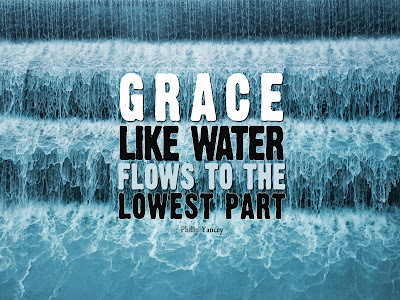 Is that why I often lose the significance of God's grace in my life? Because I want to prove myself worthy? Because I want to convince myself that there actually is something in me that deserves it? My pride would like to think that. So then I fall again, and I grasp helplessly around for a fingerhold on the ledge of grace. God grants it to me through a kind man wanting to pray for my children or a generous gift from a friend. But those are just reminders, glimpses, of the grace he has given me through his Son. Because that grace is astonishing indeed. We were invited to join a bunch of friends from our home church to watch an outdoor movie in the Hollywood cemetery. A friend gifted us with tickets to the Long Beach Aquarium and lunch at Bubba Gump! This was such a wonderful day....and even though the sea life was pretty awesome, I think my favorite part was these amazing birds. Out with the family, go-karting and minature golfing. My normally soccer-obsessed boys have adapted well to America by appropriately obsessing over baseball. They play wiffle ball almost every single day with their dad or grandfathers...sometimes for hours at a time. Daddy took Grace to her first-ever concert....and oh my goodness....this 11-year-old's year was made because she not only got to hear TobyMac, but she got to meet Hollyn! ....and since we are California natives (and my folks are in the Bay Area), this was a very big deal! My adventurous husband decided we needed to join the millions headed to Oakland to see the victory parade...and we were rewarded by seeing Steph Curry in the flesh. Since we finally finished homeschooling, when they're not playing wiffle ball, my kids are in whatever pool happens to be nearby. Almost every day. Seen here with their sweet cousin. Gil and I went to a conference in Austin, and while we were there, got to re-unite with six friends from college. Meanwhile, Bibi (my mom) held down the fort by caring for all four kids and doing fun things like "letter of the day" meals. What is summer at church in America without VBS? 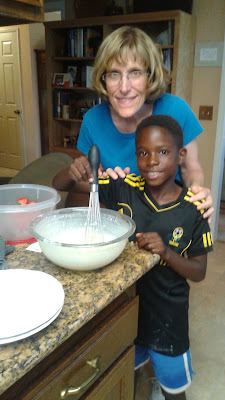 This year not only did my kids get to participate, but Gil and I got to be the "missionaries of the week." 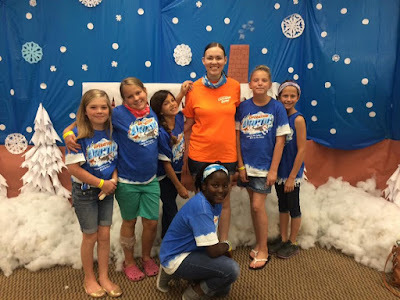 The kids raised over $2000 for study Bibles for our pastors in Tanzania! While visiting our home church, we had the privilege of staying two weeks with our pastor and his family. What a huge blessing to us! And if this looks like June was a crazy month, yes, it was. Lots of great memories and wonderful times reconnecting with friends and churches, but also lots of travel and lots of ministry presentations. We're down to our last few weeks in the States! 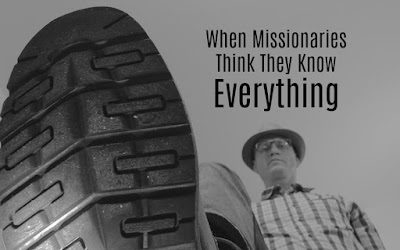 I wrote this post for missionaries, but it's a revision of something I wrote a few years ago, and it applies to anyone who is experiencing any kind of cross-cultural life (which really should describe almost everyone in the U.S.). A few years ago, a video started making its way around my Facebook feed–shared by lots foreigners who live in my part of Africa. The video showed two African men shoveling sand. There was a very large pile of sand to their left. The two men were shoveling the sand into a wheelbarrow, filling it up, and then dumping it…two feet away. The person filming this video obviously thought the men were complete idiots. “Watch this! Wait for it…wait for it…” she gleefully exclaimed. And when the men dumped out another wheelbarrow of sand just inches away, she could be heard bursting into giggles. By the time I saw the video, it had over 13 million views and 300,000 shares by people who obviously thought the men’s idiocy was equally hilarious. I didn’t share it, but I had to admit that it did seem pretty amusing. That is, I thought it was funny until two African friends set us all straight. They explained: While making concrete, in the absence of a cement mixer, a builder will use a wheelbarrow to measure. One part cement, two parts sand, three parts gravel. These men were not idiots. They knew exactly what they were doing. They were using the resources they had to do something that was actually quite rational. I was terribly ashamed. Not just for myself, but for the millions of foreigners who come to Africa and think that we know everything. That one little video made me re-evaluate how I view my host country. It made me wonder how many other times I had the same attitude of condescension about something I knew nothing about. There was a tag on that video: #TIA: “This is Africa.” This is a common hashtag in my part of the world, but foreigners often turn it into something demeaning. For example, “Spent all day waiting for my car to be fixed, and then realized they ‘fixed’ the wrong part. #TIA." But let’s step back a minute and take a look at that from a distance. What is “TIA” communicating in this instance? That everything always goes wrong in Africa? That no one knows how to fix anything? That we should have the expectation that everyone in Africa is an idiot? What would the mechanic think if he read it? 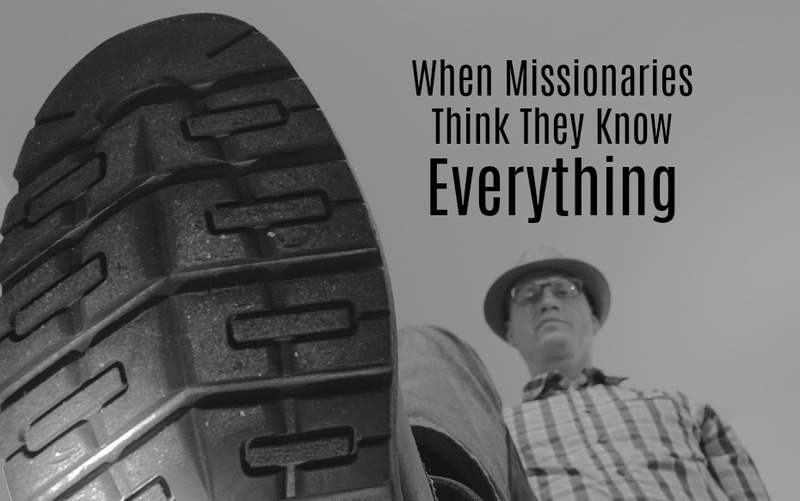 As Christian missionaries, it’s easy to assume that we are above this kind of behavior. After all, we’ve been vetted, interviewed, and scrutinized more than most people will be in their lifetime. We’re supposed to be godly, right? We’re supposed to love the nations, right? Missionaries could never be racist….right. Call it racism, stereotyping, or ethnocentrism, but one thing we need to get really clear is that it dwells in all of our hearts in some form or another. If we’re really honest with ourselves, we have to admit that we really do think we know what’s best. Our way of doing things is really the most effective. Basically, I am better than you. Or at the very least, my culture is better than yours.